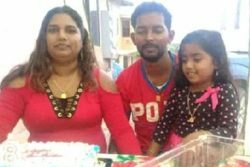 (Trinidad Guardian) Nine months af­ter his old­er broth­er Sheron Sukhdeo was mur­dered, his younger broth­er Shel­don Sukhdeo has been kid­napped by men pre­tend­ing to be po­lice of­fi­cers. 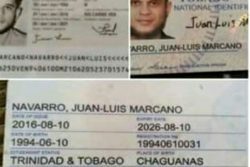 Po­lice sources said the kid­nap­ping oc­curred around 5 am on Sun­day while Shel­don was lim­ing with friends in Clax­ton Bay. 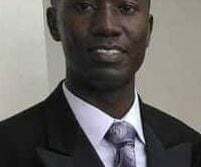 In­ves­ti­ga­tors said a black SUV pulled up along­side them and a group of Span­ish-speak­ing gun­men or­dered Shel­don in­to the SUV and then drove off. 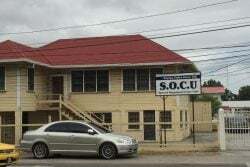 A call was made to the Cou­va Po­lice Sta­tion and a team of of­fi­cers led by Se­nior Supt In­raj Bal­ram and Supt Daniel launched a man­hunt. Of­fi­cers from the An­ti-Kid­nap­ping Squad were al­so con­tact­ed. 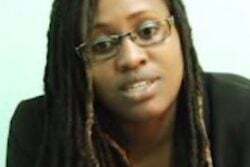 Sheron’s wife Rachael Sukhdeo had lashed out on so­cial me­dia against Shel­don fol­low­ing her hus­band’s mur­der on March 26. 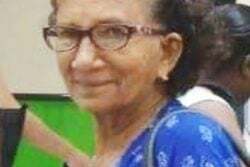 Last No­vem­ber, Shel­don es­caped death in a dri­ve-by shoot­ing with left him with a gun­shot wound to the fore­arm. 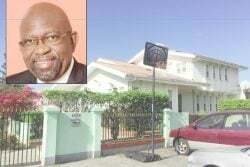 Sheron, 33, who front­ed as a used-car deal­er and busi­ness­man, was gunned down af­ter he was lured in­to the street in front of his moth­er-in-law’s home in Char­lieville. Sheron was be­lieved to be af­fil­i­at­ed with the Mus­lim gang of Laven­tille and had been a spon­sor of known gang­sters of Laven­tille. 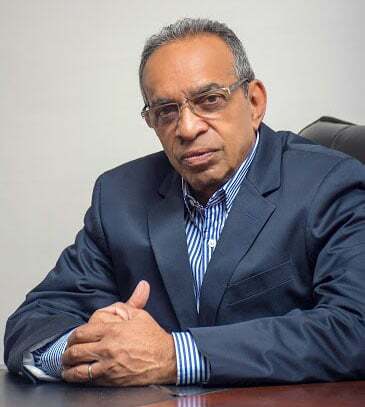 He fi­nanced car deal­er­ships and il­lic­it op­er­a­tions in Laven­tille and was be­lieved to be linked to mon­ey laun­der­ers and the drug car­tel. 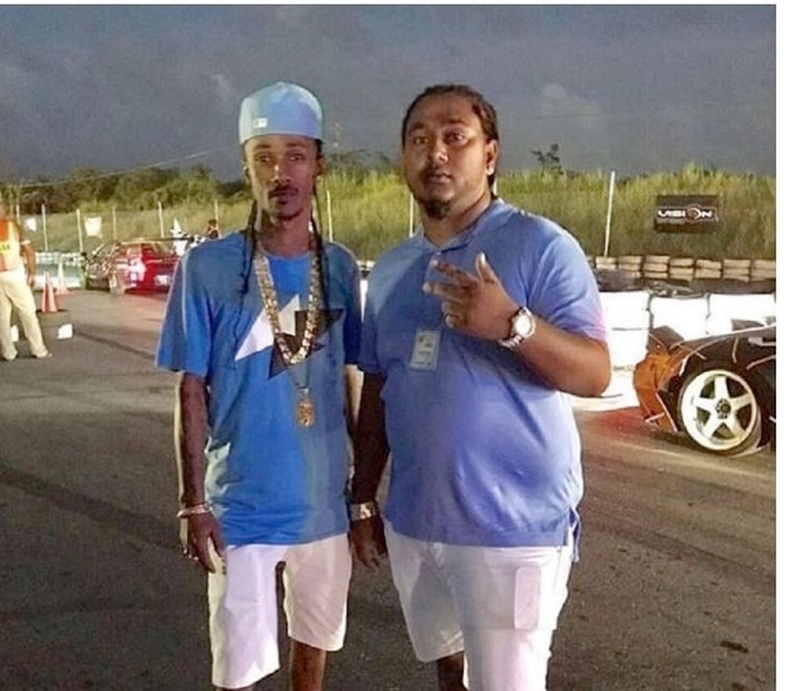 On April 22, Joshua Plaza, of Sa­van­nah Heights, Char­lieville, the man be­lieved to have car­ried out the hit on Sheron’s life, was al­so killed. 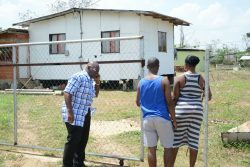 Two weeks lat­er, Rachael’s broth­er, Phillip Bas­sant, was shot dead, a short dis­tance from where Sheron was killed. No one has been ar­rest­ed in con­nec­tion with these mur­ders but po­lice said they were all reprisal hits. 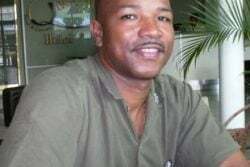 In May, Rachael is­sued a post on Face­book post ac­cus­ing one of Sheron’s rel­a­tives of killing him. She has since fled the coun­try with her chil­dren.